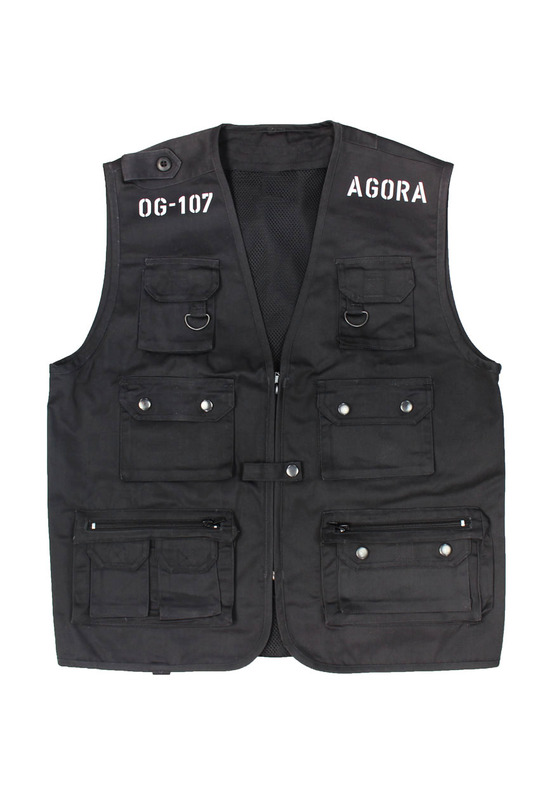 Agora Tactical Vest jacket. Rugged cotton poly shell with zipper front. 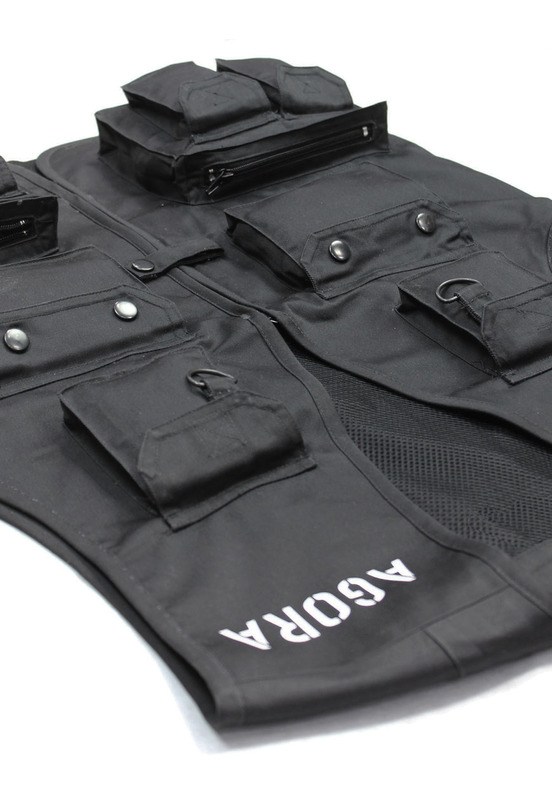 11 Pockets front, one back. 3 inside pockets.